Bali Utama Property is all about best property and real estate in Bali and Sumba. Bali and Sumba land for sale, Bali villas for sale, beach front land for sale, and villas in Bali for rent. Close to the beach and golf course. Beautiful sunset landscape with charming a white sand. Cliff frontage with facing to spectacular Indian ocean. Amazing Indian ocean and stunning sunset views. This villa is designed with the concept of a home away from home. The Villa interior features contemporary and bold designs that incorporates Balinese cultural aspects to its modern feature. . . . This villa is located in Seminyak area which is most favorite addresses on the island now days. The style is modern combined with exotic Balinese which blend beautifully in natural landscape. . . . Situated in the most sought after location in Seminyak, This villa is a garden oasis, peaceful and serene, yet only moments from Bali’s most popular restaurants, shops and beautiful beaches . . . 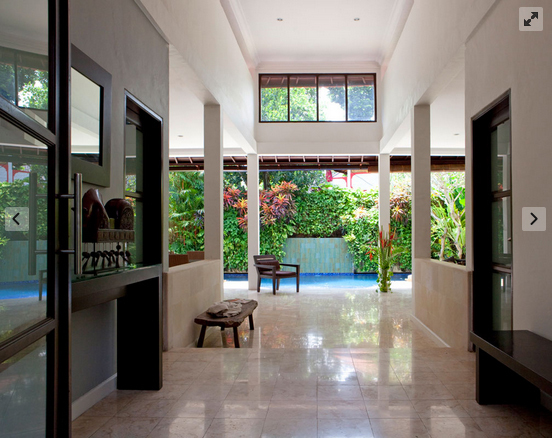 This villa is ideally situated in Seminyak. Bali's most popular restaurants, shops and beaches are an easy walk away for villa guests. Private entrances to each villa open onto lush landscaped lawns . . . Indulgence begins and ends at the Villas in Bali. Located in an upscale and popular area of Bali, Seminyak is an upmarket seafront town with a laid-back vibe renowned for its endless range of high-end . . . 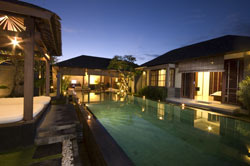 This villa is a boutique Bali development of two exquisite private villas. We offer luxurious two, three and four bedroom accommodation, conveniently located at the heart of the famous Seminyak area . . . Occupying a spacious area of 400sqm, this villa is a contemporary styled villa located in Pantai Berawa area, designed with the concept of a ‘home’ away from home . . . Enjoy a different experience on your holiday. Ideally located in Keliki Village to the north of Ubud, just 10 minutes from Ubud Palace. Come and indulge yourself in our luxurious private pool villas . . . This is a 4 bedrooms villa located near Canggu Club just a few minutes from the beach. Here guest can escape from the world within an environment of rice fields, serenity, and bliss . . . This splendid 4 bedrooms villa is located in Nelayan Beach, Canggu. Set up in 1.300sqm for the land size and 540sqm as the building size. This villa is perfectly designed to capture the serenity of its surrounding . . .